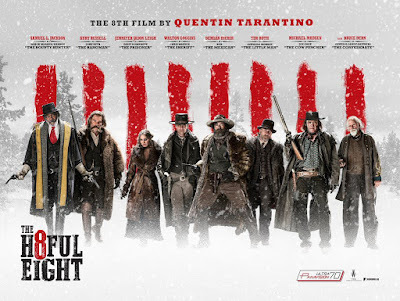 I finally got around to watching The Hateful Eight, Tarantino's latest film. His films seem to be kind of hit and miss with me and I end up really liking about half of them. The Hateful Eight is a film I'm glad I saw once but don't ever need to see again. It's almost 3 hours long, which is just way too long for a movie, but besides that it also has very slow pacing in the first half of the movie. You see scenes of winter, snow, blizzarding, people moving through the snow, more blizzard. I mean... I live in Minnesota... I don't need to see the snow this much. I get it. There's snow. But the second half of the film picks up the pace and feels very Tarantino. It was entertaining enough that it made watching the first half worth it once. 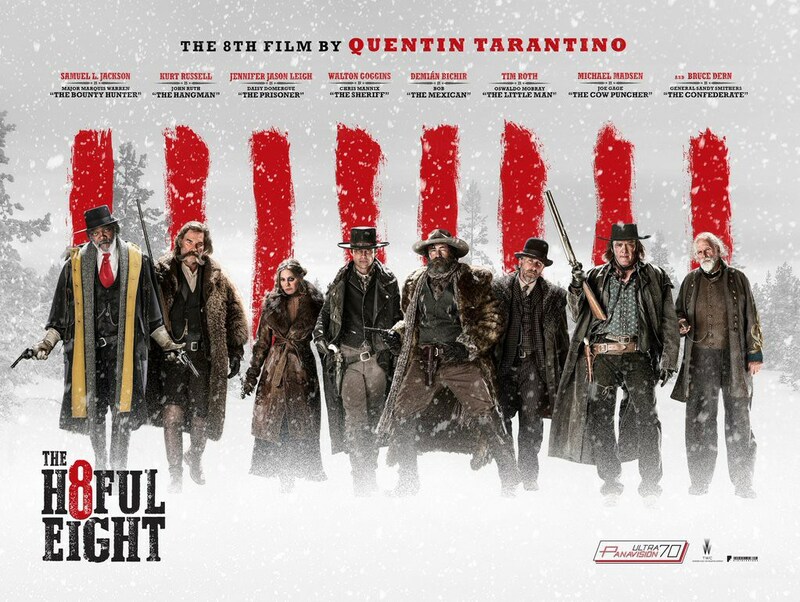 If you've enjoyed Tarantino films in the past you should probably watch The Hateful Eight at least once, but it's not going to end up being a film I rewatch. At least not for a long long time.